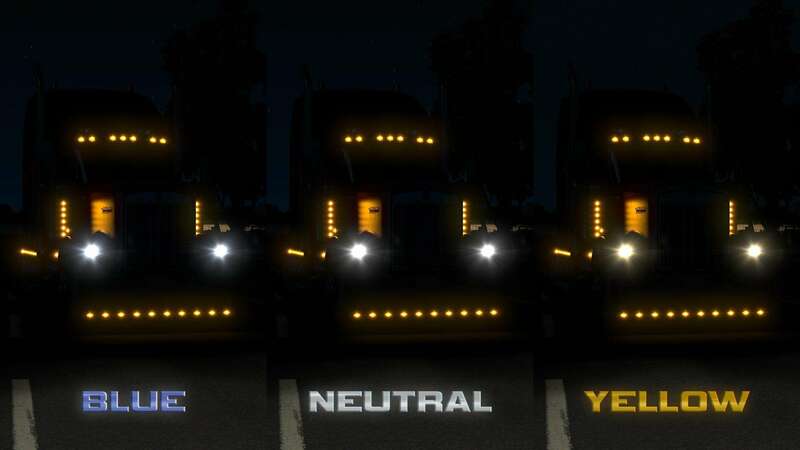 Mod replaces the standard flash of the headlights better and greatly improves their visibility. 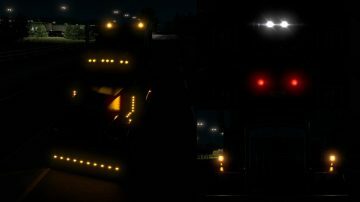 BFv3.0 1.Base for ATS – basic mod. BFv3.0 2.Headlights White/Yellow – “yellow” and “white” version of a light truck. 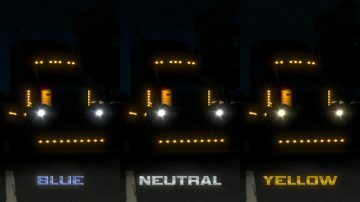 Also here a smooth transition of light and its different shades for the traffic. Priority should be above the main mod. 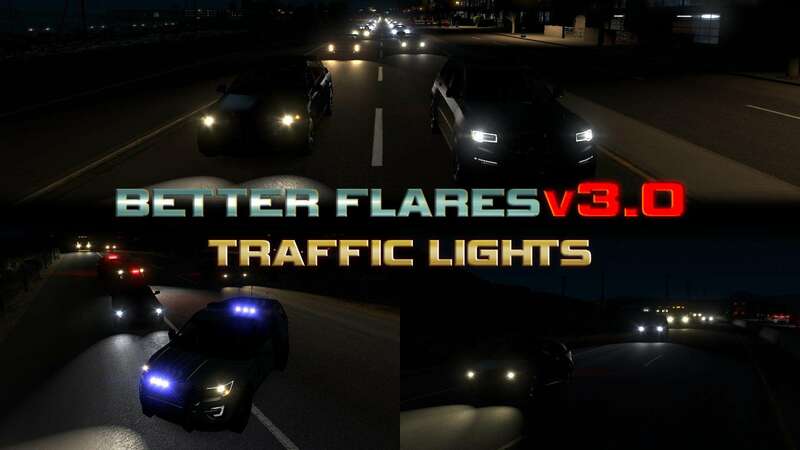 BFv3.0.Default Traffic Addon – mod adds new flash for default traffic. Attention! 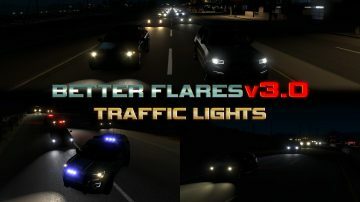 Incompatible with AI Traffic Pack from Jazzycat! Use only one of them. Mod compatible with the latest versions of these packs. Addons BFv3.0 should have higher priority than packs Jazzycat. – If you have packs crashes on motovskij maps – put all the Addons for traffic below mods with new maps.